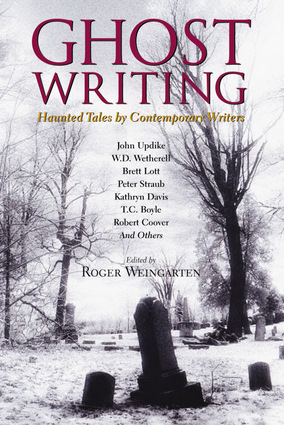 Serving up chills and thrills, this collection of haunting tales offers the intelligence and emotional resonance that only comes from great writing. Whether it's John Updike writing about a shadowy Indian in a coastal New England town or T. Coraghessan Boyle's tale of a vengeful statue of the Virgin Mary, these stories show how delicious it can be to curl up with master storytellers and the things that go bump in the night. Roger Weingarten is the former director of creative writing at Vermont College and the author of Ghost Wrestling, Infant Bonds of Joy, and Shadow, Shadow. He lives in Montpelier, Vermont.